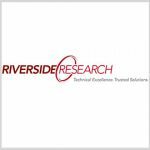 Riverside Research Institute has received a potential five-year, $135M blanket purchase agreement to provide technical data collection and analysis services for the Defense Department’s command, control, communications and computers operations. The task order-based BPA requires the company to support research and development efforts for the defense and intelligence domains as well as DoD operational missions, Riverside said Thursday. The institute said it will use its network of laboratories across the U.S. as part of the project, which will expand Riverside’s presence in the defense industry as well as in the National Capital Region. Dr. Steven Omick, Riverside Research’s president and CEO, said the BPA is a critical contract that will strengthen Riverside’s network of partners with similar business objectives. 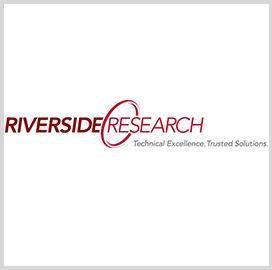 Riverside Research is a nonprofit that offers multi-disciplinary R&D support with focus on science and technology subject areas.